In business, like in relationships, opposites tend to attract. The team at DNA development, a lean and vertically integrated investment and development firm, is no different. “There’s a nice balance,” said DNA Partner Alex Sachs of his colleague and co-principal, David Berger. Prior to his foray into the world of real estate development, Sachs cut his teeth producing TV commercials and print ads, and later on, helping to market a friend’s hotel. Berger, whose familial ties to real estate begin and end with his mother’s career in interior design, forged his path using a background in engineering and finance. The pair’s disparate sets of expertise — which coalesced in 2014 to form DNA — work to create a more dynamic team, according to Berger. The company is in the middle of readying a pair of buildings on 71st Street on the Upper West Side after renovating to make way for 38 condos. 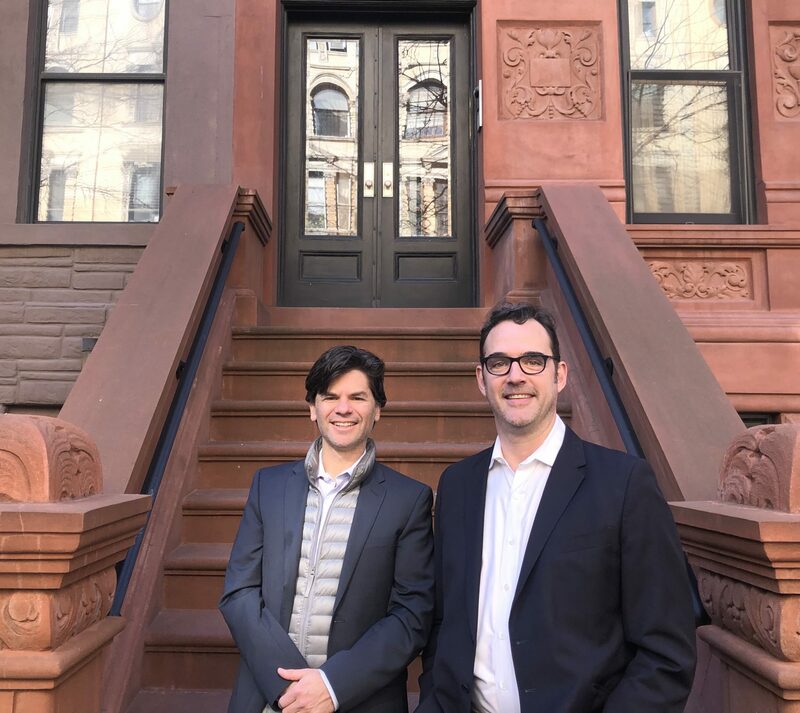 They are also recently completed a ground-up project in Prospect Heights that will add 32 homes across five stories and 80,000 s/f. One of Berger and Sachs’ more recent projects — a joint venture with Landsea Homes — will add a mixed-use luxury condo building spanning 80,000 s/f on the corner of 6th Avenue and 14th Street in Manhattan. According to Sachs, when it comes to the company’s final product, team size is just a number. “We’re not looking to reinvent the wheel. We like to design things that are relevant to people and things that are lasting, that people enjoy living in and appreciate the time and effort that went into designing it,” said Sachs. Like the builders’ backgrounds, their philosophy on how to be successful in the fast-paced world of New York City real estate is what the two might refer to as complimentary. According to Berger, success is gained through resiliency. “You need to give it a try and see what it’s all about,” said Berger. “A lot of people think it’s a very glamorous profession, which it can be at times, but as Alex pointed out, there’s a lot of days sometimes where you’re just working through a lot of challenges, so it can really test you.